There are two types of firefighting measures: Active fire protection, which includes manual and automatic fire detection and suppression like alarms and sprinkler systems, and passive fire protection. Passive measures include structural elements and materials like firestops, concrete, and fireproofing coatings. 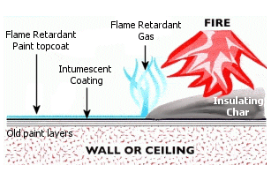 Intumescent paint is a fireproofing coating that works by insulating a substrate from fire. It is suitable for a variety of substrates and applications including steel, wood, concrete, plaster, and more. In this article we look at how intumescent paints protect and insulate against fire, how to find the right intumescent paint for your substrate and fire risk, and the products, suppliers and manufacturers of intumescent paint in the UK. The secret behind intumescent paint’s protective power lies in its chemistry. When exposed to temperatures of 200-250ºC, a reaction is triggered which causes intumescent paint to expand into a foam-like solid called a char. This char can be up to 50 times the thickness of the original paint layer and is incredibly slow-burning. Depending on the paint and application method, this char will insulate the underlying substrate from the heat and fire for 30, 60, 90, or up to 120 minutes, providing invaluable extra time to evacuate or get the fire under control. In this way, intumescent coating is part of a building’s fire protection system. A duplex system uses fire retardant and intumescent paint together to increase the level of fire protection. Can be overcoated with a fire retardant paint which releases a flame damping gas when exposed to fire, impeding the spread of the flames and extending the time til the intumescent layer is triggered. Not all fires are the same, and the location of the fire will determine the speed and heat of the blaze. Hydrocarbon fires are those that burn because of a combustible liquid or accelerant like petrol or chemicals. They burn hot and extremely fast. Cellulosic fires are those where the fuel source is cellulose – wood, cardboard, paper, cotton, and similar materials. They take longer to reach their peak heat than a hydrocarbon fire, and will not burn as hot. There are also jet fires (a special type of hydrocarbon fire) and rapid rise fires (tunnels, nuclear fires). Knowing the type of fire that your property is likely to experience is important for choosing the right intumescent paint system. Coating manufacturers develop intumescent coatings as solutions for specific grades of fire protection, climate and exposure, and application techniques. Cellulosic passive fire protection is ‘Category 1’ and hydrocarbon passive fire protection is ‘Category 2’. Commercial and architectural installations like tall buildings, stadiums, or bridges are usually Category 1, while industrial and offshore installations like refineries, oil and gas platforms and chemical plants include the more heavy duty Category 2 protection. 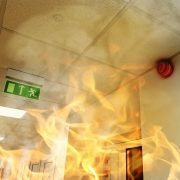 In the UK, the responsibility of providing fire safety in business and other non-domestic premises is given to the employers, owners, landlords and other parties in control of the premises. To assist them the governement provides a guide for making premises safe from fire, and the British Standards Institute lists the standards expected of fire resistant materials in BS 476 – 20/21. This standard relates to intumescent coatings and cellulosic fire exposure. BS 476 divides intumescent coatings into class 1 and class 0 coatings. Class 1 is the lower standard, though even this requires that the coatings and other construction materials do not allow fire to spread. Class 0 includes the specifications for class 1 but adds the requirement that the materials have a very low tendency to propagate a fire. Intumescent coatings can also be classified by the length of protection they offer. So, a 30 minute fire rated coating should provide 30 minutes additional time between the fire breaking and taking hold. Whatever you fire category or building regulation requirements, there is an intumescent paint for your needs. The top international manufacturers like AkzoNobel, PPG, Jotun, and Sika all sell their products on the UK market, and provide them to local approved contractors. We recommend having intumescent paint applied by a trained professional. They can provide certification for their work and complete the job to regulation. If you need intumescent paint for a project, get in touch! Our experts are here to help. We can connect you with the right coating and the right coating company for your project. Just click the “Request a Quote” button beneath this article and let us know more about the requirements and specifications of the project to get started. Bollom Broflame Ultra Category 1 – Cellulosic Fire Protection Decorative, thin film intumescent base coat for solid timber and particle board. Class 0 rating based on BS 476-6/7. Water-based. Chartek 7 Category 2 – Hydrocarbon Pool and Jet Fire Protection Epoxy intumescent with jet fire certification for durations of up to 3 hours. Tough, durable and resistant to impact and vibration damage. Provides long term corrosion resistance. NORSOK M501 compliant. Suitable for steel, aluminium, and other substrates. Interchar 3120 Category 1 – Cellulosic Fire Protection Modified epoxy intumescent providing up to 120 minutes of fire protection. Designed for off-site application to structural steelwork. Suitable for environments up to C5. BS 476 certified. Jotun SteelMaster 60WB Category 1 – Cellulosic Fire Protection Thin film, water-based intumescent for 30, 45, 60, and 90 minutes fire protection of structural steel and carbon steel. Suitable for environments up to corrosivity category C3. BS 476 certified. PPG STEELGUARD 581 Category 1 – Cellulosic Fire Protection Fire protection for 30, 60, or 90 minutes. Resistance for C1 and C2 exposure conditions. BS 476-20/21 certified. Water-based formulation. PPG STEELGUARD 560 Category 1 – Cellulosic Fire Protection Fire protection for 30, 60, 90, or 120 minutes. Resistance for C1, C2, C3, and C4 exposure conditions. BS 476-20/21 certified. Solvent-based formulation. If you want to get the best coating for your project we advise you to request a quote and have your intumescent painting done by a certified professional. These figures are just an indication to give you a rough guide as to the intumescent paint cost per m². 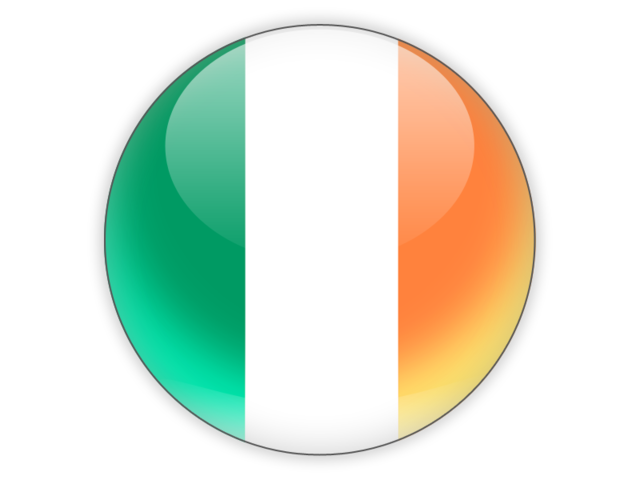 Prices are for the UK and include VAT. The cost of intumescent paint will vary depending on project and substrate requirements. When applying intumescent coatings, you should always make sure the product and coating job are certified. Many service providers and intumescent coating manufacturers provide a certificate together with the service or product.